Today! It’s a climax of Gion-Matsuri. 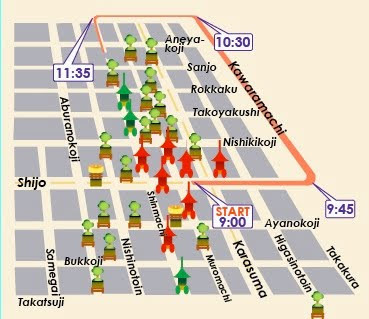 32 hoko floats move around downtown Kyoto. Don’t miss this gorgeous procession! The map below is the route and the time schedule of procession.